Suspected Al-Qaeda fighters have seized a major army base in the southeastern city of Mukalla, a military official said. The city is now almost entirely under the jihadists’ control. The Sunni extremists stormed and took control of the headquarters of the 2nd Military Region on Friday afternoon “without resistance” an unnamed official told AFP. According to a Reuters report citing residents and local officials, the militants killed at least five soldiers and ransacked the base’s ammunition store. The regional commander and his troops reportedly fled the base and withdrew to military camps around the airport, one of the few remaining areas not controlled by Al-Qaeda. As well as setting fire to the local broadcasting station, the Sunni fighters reportedly also raided local banks and government buildings. The previous day, the extremists broke into a Mukalla prison and liberated some 300 inmates, including a man identified as prominent local Al-Qaeda leader Khaled Batarfi. 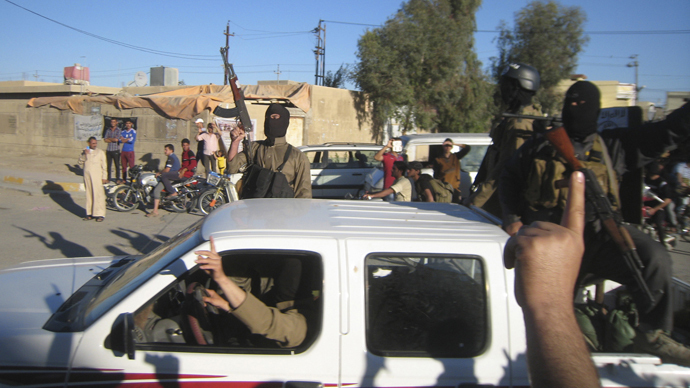 They also captured the city’s port and called for “jihad against Shiites” from local mosques, according to residents. The fall of Mukalla, a port town on the Arabian sea, comes as the fighting rages on between the Houthis, a Shiite rebel group who have seized control of much of the country in recent months, and loyalists of ousted Yemeni President Mansour Hadi. Saudi Arabia and a coalition of Gulf countries have staged a military intervention designed to reinstate Hadi as the rightful leader in Yemen. The Saudi-led coalition has been launching airstrikes on rebel strongholds throughout the country since last week, and is reportedly mulling a ground invasion. Observers note that the escalation of hostilities and mounting chaos in Yemen have provided Al-Qaeda with an opportunity to strengthen the extremist organization’s presence there. Yemen-based Al-Qaeda in the Arabian Peninsula has been classified by the US as the network’s deadliest branch.